UK Stampin' Up! Demonstrator | make beautiful cards | Crafty Hippy: Stampin' Up! Retiring Products - New Catalogue Coming!! Stampin' Up! Retiring Products - New Catalogue Coming!! 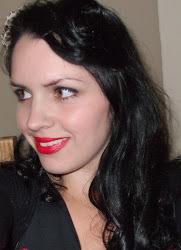 I've decided to take off the Farewell post that was at the top of this page as it was hampering the blog a little. You can find all the retiring Stampin' Up! products under the Retiring tab at the top of this page. The Stampin' Up! Annual Catalogue is about to end with a new one starting on 1st June 2016. As usual, some of the products are carrying over, but some are ending. Stock up whilst stocks last! Some of the products have up to 50% off. A lot have gone already so if there is something you fancy get in quick! Click on the link HERE! 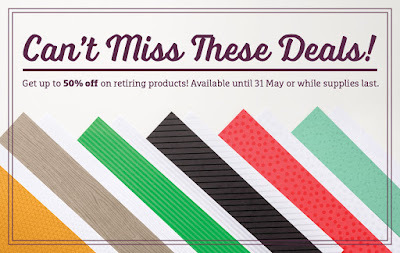 to see what is retiring and the discounted price. Or click the Retiring tab at the top of the page. I am SO excited about the new upcoming catalogue! Lots of lovely new project ideas and brand new products to play with. For those that are only just joining me after an absence it has been a busy week in the Hippy household. Mr Hippy and I were handfasted at the weekend during a Beltane celebration with friends. It was a dry day (the rain held off apart from a couple of spots) but it was very windy and very cold! 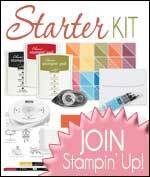 Naturally, being a Stampin' Up! demonstrator means being a bit crafty, and so you should scroll down if you fancy seeing a post about the headdress that I made to wear. I also made one for Mr Hippy, there will be another post in the week about that. Back tomorrow with more Stampin' Up! fun!